Discussion in 'Movie Forum' started by Sam Crow, Mar 6, 2013. Emma Stone has joined the cast of Alejandro González Iñárritu's Birdman. The Amazing Spider-Man 2 actress will appear alongside Naomi Watts, Michael Keaton and Zach Galifianakis in the black comedy, according to The Hollywood Reporter. Keaton will play a washed-up actor known for playing the titular superhero on-screen, who is hoping to revive his career by putting on a play based on the work of Raymond Chandler. Stone will play the daughter of Keaton's character, with Galifianakis as a producer with his own agenda. Amores Perros filmmaker Iñárritu co-wrote the screenplay for Birdman with Nicolas Giacobone, Alexander Dinelaris and Armando Bo. Birdman will begin shooting later this year. Andrea Riseborough too .. so now 2 gingers yummy !! 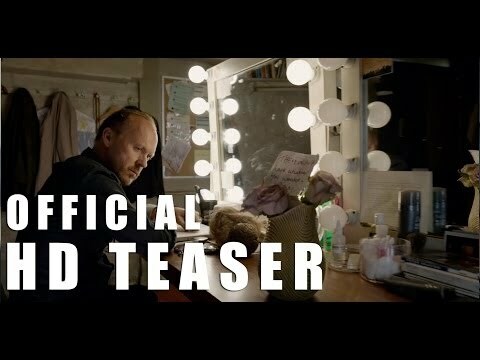 Before anyone else says it ; it doesn't look like there making Birdman on the cheep. 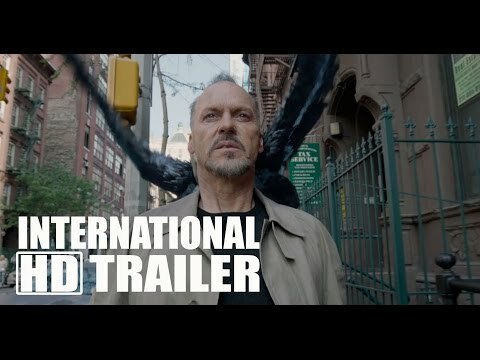 Michael Keaton's performance looks set to ruffle some feathers. Heard nothing but good things about this- on my radar for sure. What are we supposed to take away from that 'colouring in'? Are we supposed to be impressed? Because I can tell you I'm not. Well that depends - do you know what colour timing is? I went to see this today which promised to be a quirky drama with an ensemble cast that I love seeing on screen in anything whether their films are crap or not (well to an extent!) but especially Michael Keaton because man does he make some crap movies but almost every time his presence makes up for it. Generally, I don't scrutinise how good someone acting is because I feel every on-screen actor is hired for their roles, small or large because they are professional and were deemed suited to serve the role the subtleness or intensity levels it requires. Where I take real notice of an actor is when they stand out which might beg the argument of should they be standing out in the first place...well, yes they should stand out if the role itself demands it. And if they entertain me then I would highlight them, soak it up and applaud them unless they get in the way of the narrative as sometimes can happen with egoistic actors. Ultimately though, an actor of any level of calibre is only as effective as the skill of a director who handles them...in most cases. Oh what a coincidence that I've been babbling about acting because this film is all about that And its so damn ironic after my bs talk of not judging actors that I find myself scrutinising everyone's performance because the damn story is making me aware of them as actors playing actors...BUT it was only for a very short while because this cast was so flipping awesome, I was very quickly and totally immersed in a film that swept through my senses with its virtuoso direction, camera work and cracking dialogue as I sat back in my second row seat, letting these actors roll with their intensity, dark humour and classy professionalism. Its weird to reflect on a film that actually reflects on the typical kind of reflection that I am making on the film...how mind screwy is that and I love it. "Now you wanna get nuts? Come on, lets get nuts!!" When Keaton uttered those words in Batman, it summed up the on screen persona perception I had of him at the time. But then he sort of faded into cameo roles and fluffy low rate comedies but despite the quality of film he would mostly shine. But I always felt sad about him because I have always loved watching Keaton on screen since he debuted in Night Shift stealing the show from the star, (The Fonz no less!) and its mostly because of his somewhat insane tics that he does that i find as enjoyable as Jack Nicholas was in his prime. He seem to have tragically disappeared for years then suddenly there he was on the big screen twice in one year...last year, in Robocop and Need For Speed. Again they were just bit parts but in both films he stood out and at the same time made me sad to think why didnt we have more of him over the last decade. The truth is we did but to quote Sir Lancelot in Indiana Jones and the Last Crusade, he chose poorly...until now! Keaton really carries the movie with a wonderfully Keatonesque performance albeit with a more deeper and mature resonance than his earlier manic hollywood roles. He still has those vintage flip out Keaton moments that I always love but they are infused with more weight and gravitas. To be blunt that only comes with age but it sure aint a criticism, quite the opposite. Although Keaton ran the show , Ed Norton very very nearly stole it from him...in fact he bloody well does in many of the scenes he shares with Keaton making the pairing of the two a highly entertaining and sometimes terrifying double act. Norton was awesome...best I have seen him in a while. He really lets rip here with what seems to be a "caricature" of himself, ironically with a zaniness of a younger Keaton. Noami Watts and Emma Stone are also great but within the admittedly stereotypical limitations of their roles. But there is one big star that nearly outshines everyone. The camerawork. Constantly panning and tracking our protagonist giving the film an astonishing fluidity, especially with the inventive scene transitions. Is it overdone? Not at all. There are some in-jokes about Scorsese in the film and no doubt the camera techniques are a deliberate tribute to his pioneering tracking shots but man do they elevate the effectiveness to a whole new level of storytelling and dont worry, it wont bore you infact it becomes a character that is essential to this unique film. One thing I dont have much fondness for is the soundtrack but thats only because its a style of music that I am sadly ignorant of its artistry. I can sense artistic merits to it but its just not my thing. Having said that, its suits the film and is essential to the mood and that's what matters. This is first and foremost a quirky dark comedy drama. See it for that and enjoy it for that. There are other elements that might surprise you from the very first scene, treat those as a bonus but dont expect some sort of feast on it. Enjoy the drama, the magical camerawork, the moments of surrealness, the fluctuations in everyone's relationships and the bravura performances of Keaton and Norton. Whatever else you might be expecting from the film, tone it right down. Birdman also has its little annoyances and faults but nevertheless marks a fantastic start to the New Year for me. Loved every minute of Birdman save perhaps Emma Stones character, who was a bit deliberately 'pretty girl' irritating but other than that it was amazing. The camera flew about like a third eye, as if you were having some sort of lucid dream, not in a shaky cam way either but nice and gentle, eavesdropping on the most candid moments in the dressing rooms. The performances were phenomenal particularly Keaton and Norton, their little scraps were hilarious. Both former comic book leads too. Loved the reflections on the current state on the movie industry, particularly of course the comic book obsession. Very well done, as I for one am completely bored with most of those superhero movies. I liked the drum soundtrack, it was different and seemed to suit Keaton's characters eroding mental state.. I didn't find this an especially entertaining movie. It was somewhat indulgent. There were some excellent scenes and Keaton was brilliant. Norton too - playing himself. The speech Keaton gave to the critic about putting himself on the line, bleeding, giving everything yet "what do you do? Just write labels!" was almost the same speech found in the recent Chef. How peculiar is that. 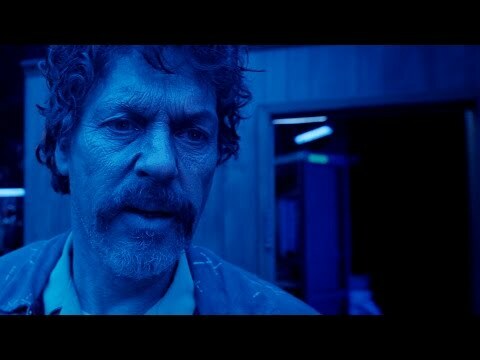 In fact there's quite an overlap of themes in.the sense of a guy who's lost his mojo, but it's much deeper in Birdman as he just can't shake his past success. 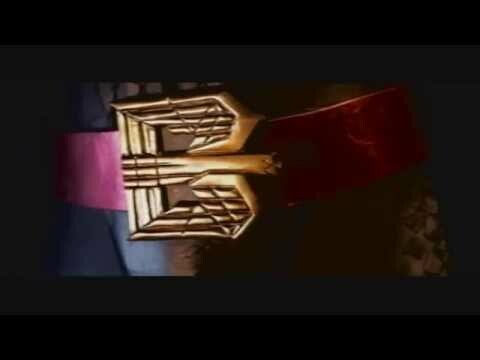 I have to say from the trailers I had no idea what it was about. Didn't find it to be 'look at me I'm brilliant' in a smug way at all. I've got a pretentiousness radar built in and I just didn't find it crossing the line, like Magnolia or the like sometimes did. It was just brilliant in an original and visceral way..and unusually, my wife also loved it. I completely see where you are coming from and its a very justified response but for me, the irony is that the film deliberately sends up that message of smugness in an intrinsic way. By highlighting the self indulgence of the protagonists, it does so with a deliberate and I will add delightful arrogance in its flair for artistry and sucking up to as you say, the "critics" which is exactly what the story is partly about. But man does it do it with exuberant style and as I call myself a bona fide representative of the dumbass joe public audience (proof: I like most Nic Cage films), I really don't think this film will only appeal to critics. on reflection, I didn't actually like the supporting characters. Keaton's story is what was interesting - the celebritism, curse of fame and success, his ego/inner birdman, the general crisis he is in personally and career-wise. His facial expression and angst building through the film was impressive for example. The scene where he has to walk through town in his whities is humiliating; he shows signs of distress ,the comments from strangers in the street (one said u look old in real life), it just summed up everything going wrong - you watch the scene and think "why doesn't this guy get a break?!" Norton and Keaton fight is hilarious. You have one carefree guy talking about living in the moment as an artist whatever the cost and Keaton the guy who's putting his entire life on the line and watching it crumble. Yes Emma Stone's character was the one negative about the film for me, whining and smoking weed yet having nothing really to whine about. Nicely brought to task by Norton on the balcony, maybe for his own nefarious reasons but it added some layers to his character. He could probably see Keaton's character was pretty troubled and was defending him in his own way. BTW I don't think a lot of the characters were supposed to be likeable, as seen through Keaton's eyes, yet I found them compelling.. apart from his daughter. Again, I know where you are both coming from regards to Emma Stone's performance but I think its a little unfair to mark her down as such, fellas, because to me she played the part exactly as its meant to be and the proof is in your own spoiler, Questshield. She is playing a deliberate stereotypical whiny teenager with "issues"...only to be questioned within the film itself on the validity of being such a whiny self pitying brat! That's what I love about the film, it's a self-criticising movie on acting, art and stereotypes...whether it's intentional or not, is another question! I know you're right TheyCallMeTJ, on subsequent viewings I'll appreciate Emma Stone's performance a lot more. I didn't like her character probably because that self-entitled whiny kind of teenage spoiled madam is a particular type of person I can't stand. But she's crucial to the movie. Not even being shown at my local cinema. Loved it! Quite literally my film of the year! After 5 days!! I enjoyed it but I don't think a mainstream audience will get it, sort of reminded me of JVCD.